The list of books for the current season is posted in the Teen Space along with most of the books on the list. Get a head start on the reading. Battle booklists are posted around June 1st. Check the WEMTA B.O.B website for details. Children's story hours are every Wednesday from 10:00 a.m. - 11:00 a.m. A short session for babies and toddlers featuring a book, music and activities begins at 10:00 am. followed by a second session for the 2-5 year-olds. Afterwards, join us for a special craft or song. This free program encourages you to read 1,000 books with your child before he/she enters school. One of the best ways to encourage learning is to spend time sharing books every day. Reading together helps develop pre-reading skills that provide a good foundation for school and learning success. By reading just three stories a day, you and your child will have read over 1,000 books in one year! It’s very easy to participate. Register at the Library in youth services. These two learning tools are pre-loaded with over 60 programs of educational software. 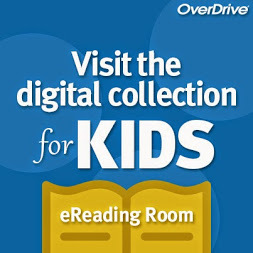 Free for any child– from ages 2-11– to use at any time. Kids Reads - book reviews, features, in-depth author profiles and interviews, excerpts of the hottest new releases, contests and more every week. 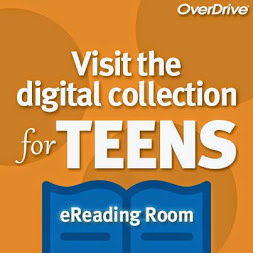 Teen Reads - book reviews, features, in-depth author profiles and interviews, excerpts of the hottest new releases, contests and more every week. School Center (Learning Express on Badgerlink) - Practice, lessons, and study aids to help you do your best in school. REGISTER to create your own personalized workspace. This service is free to Wisconsin residents with valid library cards. Electronic Readers advisory for both fiction and nonfiction. Find by age level, author, genre, or enter a novel you liked and get recommendations for similar books.